Splitting a book in two when you adapt it for the big screen doesn’t necessarily mean you’ll be doing the story justice. Whether the studio is doing it for financial reasons or because the overall story needs to be told over two films, you are dividing a tale which wasn’t initially designed to be two parts and in the final movie in The Hunger Games franchise, this is very noticeable. I enjoyed the first movie in the Mockingjay two-parter but like many others, felt it lacked the action and excitement of the first two films in the series. It was the beginning of a story, building to something much bigger. Unfortunately, by waiting a year to conclude that story, you are now watching all the action sequences without any of the build-up. Unfortunately, these also feel like they are too infrequent. The action is giving way for the struggle Katniss has choosing between “broken” Peeta, played by Josh Hutcherson and brooding Gale, played by one of the many dashing Hemsworths (Liam). It is a story which has been developed over the movies but takes up too much time here and in the end has a poor resolution and doesn’t really get the huge pay-off that all the build-up warrants. In fact, that could be the main criticism levelled at Mockingjay Part 2. It never really delivers the huge spectacle, action-filled finale you’d hope for. Katniss is a great character but there is only so much determined self-pity you can stand and when all you want is to see President Snow get his final comeuppance, the film takes far too long to get there. The ending doesn’t quite do the rest of the series justice either. The final scenes, completing and offering the resolution to the series, feel like they drag. There are many “false-endings” which don’t offer anything new and the whole movie feels like it struggles to offer Lawrence’s Katniss the happy ending she deserves, even tingeing those final “happy” scenes with a hint of dread. It makes you wonder whether the movie would have been more successful if they had just tried to make it one, single, definitive Mockingjay. There was no point where you felt that you were necessarily getting a much better story by bringing in a lot of “padding” when the first film could have been 90 minutes and the second another 90. A manageable three hours and a successful end to the franchise. 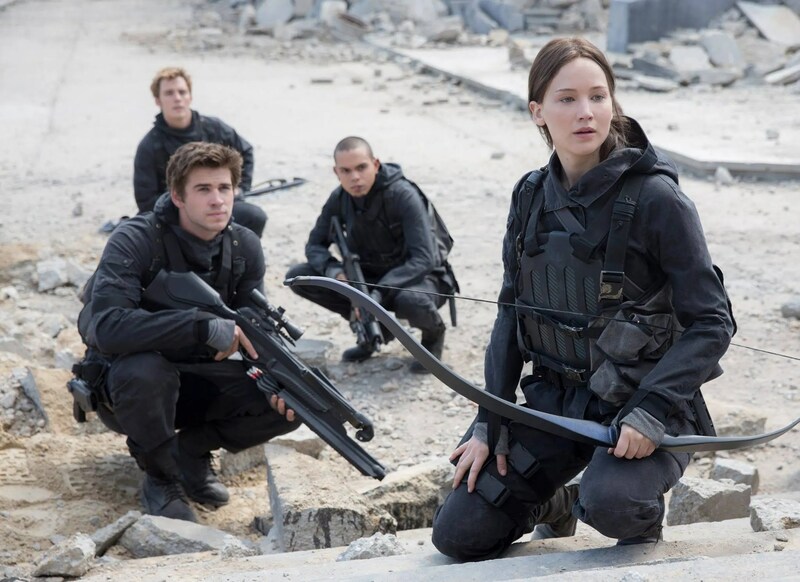 Overall, Mockingjay doesn’t really do justice as the end to the The Hunger Games franchise. It is more action-focused but lacks any of the relevant build-up to what they are doing and then struggles to find a good way to end the whole story. The love triangle and Lawrence sulking through the movie don’t help either. Maybe just one definitive Mockingjay movie would have solved these issues. Would the film had been better had it just been one movie? Was quite disappointed by this. It works towards a climax which really isn’t there and all the false endings were annoying indeed. Even my daughters mentioned that. It is such a shame because the rest of the series is really strong. Next Next post: A look back at the Movie Tie-In Cartoon!